I'm going to play analyst again and throw out three foundational requirements I believe Linden Lab should prioritize when planning the development of their new virtual world. Figuring out how to get current SL users to the new world along with their existing user identities, group affiliations and community networks. There's going to be a lot of competition by the time SL2 launches in 2016 including offerings designed by both of SL's cofounders. Duplicating existing Second Life social connections is a feature no competitor can match. 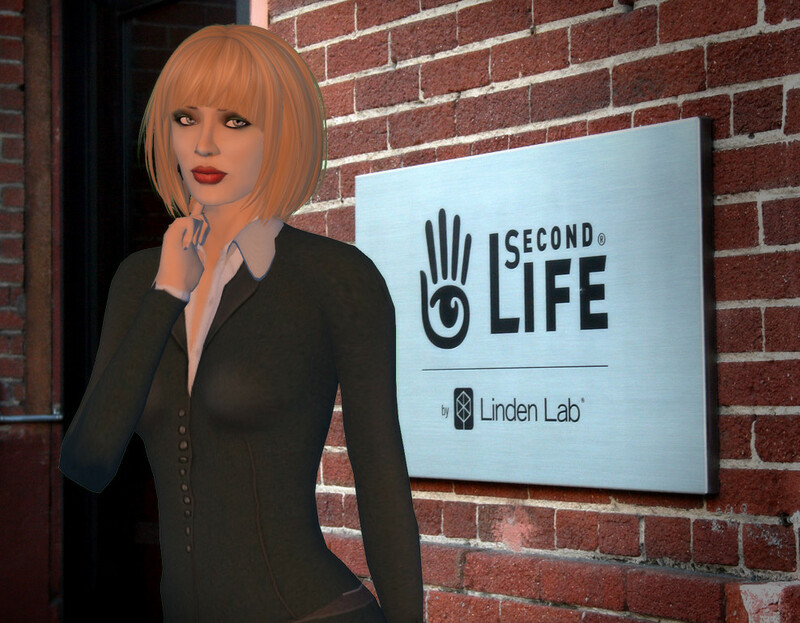 Supporting Second Life's creative community in transitioning to the new platform. Content creators and the goods they develop are Linden Lab's other main competitive advantage. Linden Lab should clarify what types of Second Life assets will be compatible with the new platform. Ideally, Linden Lab will provide an SDK, plug-ins for major 3D software creation tools and other software that makes porting non-compatible content to the new platform as simple as possible. Nailing UX and UI for both VR and standard screen users. Although Second Life's current users can provide the critical mass to jumpstart the new platform, the ability to attract and retain new users will make or break its ultimate success in the market. New user experience must be especially intuitive and breathtaking. New users must easily be able to find the types of experiences and communities that meet their interests. No one has figured out the ideal user interface for VR-based virtual worlds yet and there's a lot of work to be done. So that's my three cents for the moment. What do you think? 1/ If they move 100% of content creators, in one day (impossible), they will still have to charge them more money. And it will still take those creators over 10 years to match the range/depth of content. 2/ They don't even support their existing creatives. An example - to export from 3ds max - we have to use a 2010 version of Collada format - because (despite their website pages saying different) they have borked and never fixed the COllada importer if using 2011, 2012, 2013, 2014 versions of 3ds max. 3/ I don't use SL official viewer (cept for minimal testing) because its crap when compared to Firestorm. LL had to hire a third party to redesign their interface last time. Now somehow we're expected to believe they can get it right? I agree with you 100%! And I think #1 is absolutely key. People are attached to their avatars, in some cases like me, my avatar is a brand, or associated with a brand (Radio Riel). I know that there are many others like me. Business requirements aside, there is that human, personal attachment. I am sure many people will day "just create a new account, what's the big deal?" Human psychology is the big deal. Humans are wired to attach to things connected to a community. I am an estate owner, and I see people who become very attached to their land parcels. The avatar is an even more personal attachment than that. If LL can accomplish what you describe in #1, they will get many, many people on board. Patrice: There are two main issues with moving inventory. The first is technical. Figuring out what is compatible and if it might be possible to automate the process of converting from existing formats to new ones. The second is related to Digital Rights. When we purchased something for use in Second Life, do we have the granted rights for the new platform. So if I have the right to transfer an item, can I do so to the new platform? Might there be some automated method for content creators to opt in for that kind of transfer? JubJub: I'm not so quick to judge the new management on the actions of past administrations. I think that they have been slow to improve the platform in the past because of the difficulty of working on what had grown to be a platform hung together by virtual duck tape and bailing wire. A new development team starting from scratch won't have those constraints. Gabrielle; Avatar identity is for sure a huge factor for anyone who has established friends and communities based on their SL identity. Allowing identity transfer is one of the smallest technical challenges they face, with one of the biggest payoffs.